Bolton Party Magician - Kids parties Bolton - Amazing Magic & Puppets! 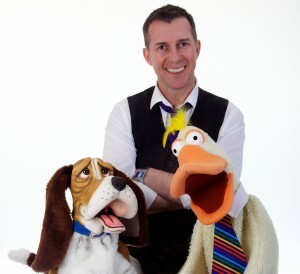 Looking for a great kids entertainer in Bolton? 30 Years Experience 5 Star Reviews. Looking for a great children’s entertainer who has done lots of parties in the Bolton area? Est 1986 over 5,000 happy clients. Fabulous show! Paul entertained the children from the moment they entered my daughter’s 5th birthday party. They were fascinated by the magic Paul performed and amazed by the puppet show. Paul kept the children’s attention throughout and was able to relate to and include every child during his performance. Even the parents were impressed by his enthusiasm, comedy and sketches! A fantastic entertainer who I will be booking again for my other daughter’s birthday party very soon! Thank you Paul! Neeta Graham – Bolton. Good clean family fun and amazing parties. Some of Paul’s happy clients include: Bolton School, Bolton School Nursery, Market Place Shopping Centre, The Last Drop Village, Harvey Early Years and hundreds of Birthday Parties. 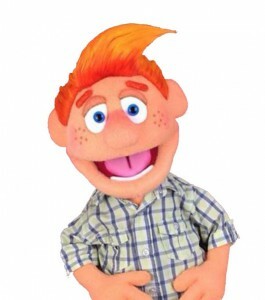 Unique puppets that interact with the children, amazing magic and lots of audience participation for a party the children and adults will talk about for a long time. Kids Entertainer Bolton – Your Local Children’s Entertainer. See what’s included in the party package? Amazing Magic, Unique Puppets, Ventriloquism, Music, Games, Plate spinning, Stickers, Prizes and a Snow Machine, enabling you to relax and enjoy the day. Great music – plate spinning – stickers – prizes -snow machine – happy birthday music. And of course his own magic & unique puppets for a truly fantastic birthday party. Just provide the venue, food and children then relax and let Paul run the whole party for you. Paul Storey is the ideal choice for birthday party entertainment, family gatherings, Christenings and Weddings. More than 1,000 Facebook likes! When it comes to your kids party entertainer you can’t choose anyone better. Check out the testimonials page. Paul gets booked year after year by parents, schools, libraries and holiday parks. 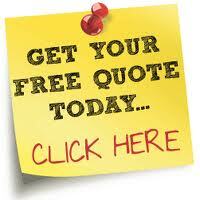 To check availability and to find out more click the quote button below for your FREE no obligation quote. Professional, reliable and friendly service. Birthday Party Magician-Making your party easy! Paul is quite simply the best children’s entertainer you could hope for. From the moment you book your party you know you are in safe hands. Courteous, professional, punctual to the minute and an wonderful performer who will deliver every time. Fun and laughter for everyone including the parents! Thank you Paul, it will be a party Aaron will treasure for a long time to come. Gwenda Donaldson, Bolton.